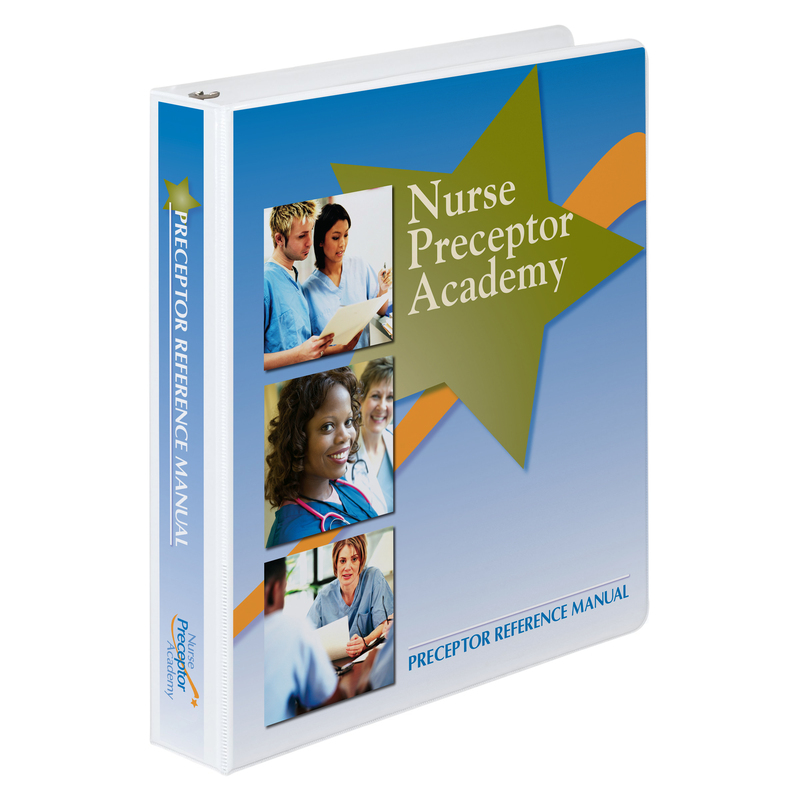 Create a Nurse Preceptor Academy for your organization using this unique, all-inclusive turnkey program with curriculum-based training materials. The Nurse Preceptor Academy is a one-day, comprehensive training program to prepare bedside nurses as preceptors to fulfill their role of acclimating new graduate nurses to the rigors of the high intensity, acute-care hospital environment. The Academy, which began in the Kansas City metropolitan region in 2006, is a key component of a larger initiative to expand nursing school enrollment in the region. It was developed to prepare experienced bedside nurses as preceptors and reduce attrition of nurses in the hospital setting. The training materials, based on adult learning theory, have been piloted, critically reviewed and refined. The eight education modules range from goal setting and critical thinking to workplace socialization and conflict resolution. 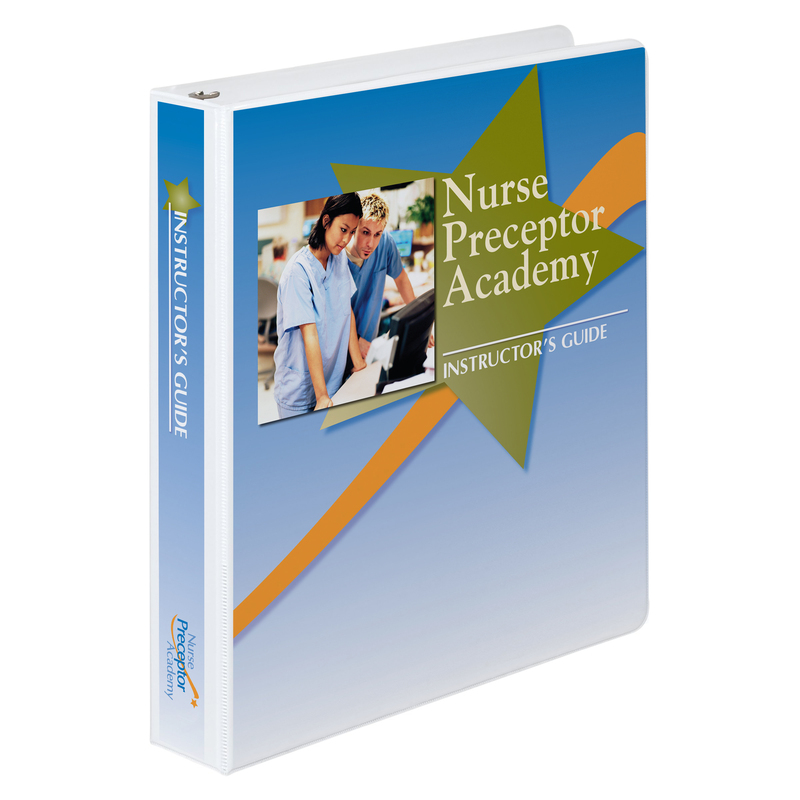 The overall program provides essential preceptor knowledge and skills, ongoing support for preceptors and strategies to improve retention of registered nurses. The Health Alliance of MidAmerica LLC, a regional office of the Kansas and Missouri hospital associations, maintains the copyright on the curriculum. The Health Alliance is pleased to provide these unique resources to other communities that share a common vision for strengthening the nursing workforce. Organizations that purchase the Academy training materials will receive a CD with all the Word and PDF files for reproducing the Preceptor Reference Manual for participants, Instructor’s Guide for the presenters and Mentoring Toolkit, including binder covers, PowerPoint slides, evaluation form and preceptor newsletters. The organization also will receive a password to a secure Web site to access future updates to the Academy training materials, as well as instructions on reproducing and preparing the manuals. Note: Training materials are not available for purchase in Kansas or Missouri because the Academy is coordinated by the Kansas and Missouri hospital associations. The Academy’s mission is to develop qualified staff nurses as preceptors, with the specific purpose of increasing retention of nurses in the nursing profession. 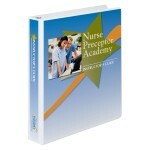 The Academy offers a proactive approach in the education and support of nurse preceptors in individual communities. The outline for the one-day training program includes the learning objectives for each individual session. This is an essential document when applying for continuing education credits. Each Academy participant receives a reference manual to help them perform their duties as a preceptor. The table of contents provides an overview of the materials. View a sample of curriculum from the Academy preceptor reference manual on “Evaluation and Feedback” — an essential component of preceptor training. Identifying the best presenters/lecturers is critical to the Academy’s success. Individuals who serve as Academy presenters will receive an instructor’s guide that offers key insights and tips for sharing the curriculum with slide-by-slide talking points. The instructor’s guide is a companion document designed to be used with the preceptor reference manual. The table of contents provides an overview of the materials covered in the instructor’s guide. The real value of the instructor guide is maintaining consistency of message/presentation if various presenters rotate or change with each Academy. View a sample of curriculum from the Academy instructor’s guide on “Evaluation and Feedback” and the corresponding PowerPoint slides. This sample is consistent with the format, style and information contained in the other seven content areas. One of the key components of the Academy training is a special section for preceptors on understanding the possible effect of personality types on professional and personal relationships. Under the Academy model, a personality assessment is given to each preceptor in advance of the one-day training session. The results are distributed and reviewed with participants during the training session. This session is consistently one of the highest-rated components of the one-day training session. New preceptors need ongoing care and support to succeed in their new role. The Academy training materials include 24 issues of Preceptor News, a monthly newsletter that provides practical advice and helpful hints for preceptors. A list of the various newsletter topics is provided. View a sample of Preceptor News. This sample is consistent with the format, style and information contained in the other newsletters. Since its inception in November 2006, the Academy model has trained more than 1,800 preceptors in the Kansas City region. Participant feedback has resulted in numerous enhancements to the curriculum and training materials. Overall cumulative participant rating of the Academy is 4.74 based on a 5-point scale. The specific participant rating for the Academy binder, materials and handouts is 4.77. A summary of cumulative data on the Academy is provided. Past participants have shared their insights and feedback about their Academy experience. We have included a representative sample of those comments. To purchase the Academy training materials, contact Bryant McNally, Executive Director of The Health Alliance of Mid America, at 573/644-7400 or send an e-mail. You will have access to updates, modifications or enhancements to training materials/curriculum via our password-protected website at no additional charge.